The Proset device comes complete with nice leatherette ear pads and with splashes of chrome covering which on appearance is makes the device one of a high quality look. 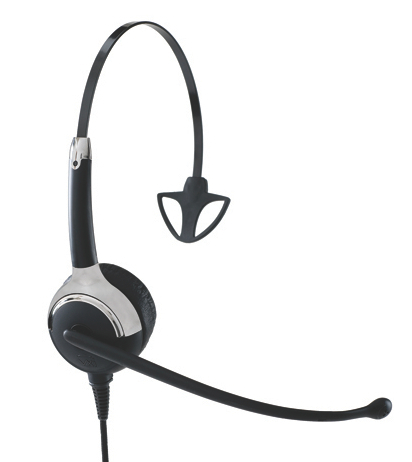 Wearing the headset is really conformable and is one you could wear for long periods of time. The build quality is excellent and at the time of using the device it felt the device is really well built. The Envoy is the cheaper model in the range and as you would expect its not a polished as its bigger brother the Proset. 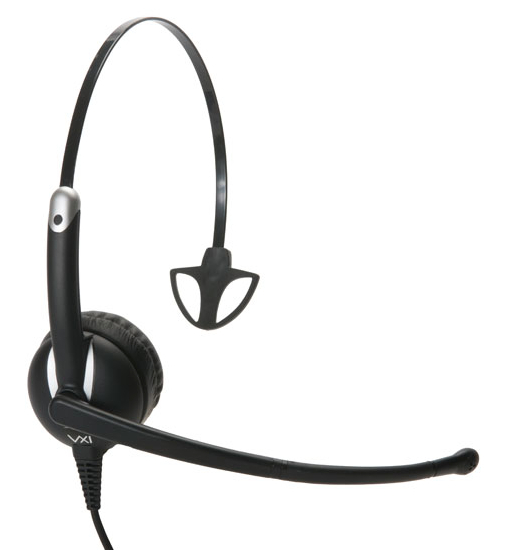 That said, I’m seeing the envoy as a call centre work horse headset and ‘bling’ is something which might not be required when you have many hundred of people using them. As for build quality, again this device scored well this the quality tests i did, and the formed plastic is of good strength, when meant you could bend the headset to fit different head shapes without issue. Like other manufacturer headsets within the low/medium range the features are limiting in terms of what the Envoy can do. i.e. : No pickup to answer feature etc. As you can see I’ve grouped the sound quality of these devices together as in the Manufactures information both share the same wideband/Narrowband HD audio quality, both have noise cancelling capabilities. In truth i thought the audio quality was really clear in both the speaker and mic <When holding the cable away from me. More on that below>, when i was on lync calls/conferences to people i asked the quality after the call, and all said it sounded really clear. Back ground cancellation was again good and in a open office muffled the outside noise away nicely. it pains me to say this because i really wanted these devices to shine in all areas however i found one major flaw to both devices. Even to the point were I’ve reported this back the Vxi direct. Both headsets suffer from something called Microphonic sound distortion which is were the cable becomes part of the mic input and sends the sound back into the earpiece. (let me explain this again in simple terms.. when wearing the headset and the cable rubs on your shirt/top you can hear the rubbing noise 10x louder in your ear through the earpiece. <kind of like when your ears are blocked and you can hear yourself talking>). This on a headset is a massive distraction and one that becomes unbearable very very quickly. If you remember i said as part of the benchmarking i would wear the headsets each for 1 week, when really i could only put up with 1 day on each device before id had enough of the microphonic sound back into my ear. Competitors devices at a similar selling point to the Vxi range. As we know there are 4 other UC device vendors in the UC market place and all have a device which matches the price bracket of the VXi range. For me the UC Proset LUX would be a high end device which would be competing against the likes of the Plantronics blackwire 7xx series, Sennheiser Century 6xx series, Jabra BIZ 2400 and all of which are a more superior device based on sound and features alone. The Vxi Envoy would be in the market place against Plantronics blackwire 4xx series, Sennheiser circle 2xx series, Jabra BIZ 2300 and sadly again due to the sound issue on the Proset and Envoy i would choose one of the other devices over the Vxi range. For me what started off as real excitement on trialling the new devices soon became disappointment. I really wish that VXi and the quality testing team had sorted this sound problem before shipping these devices to the market. In my personal opinion VXi needs to be looking at sorting as a priority the microphonic sound issue because as it stands this will cause your customers a problem. Two changes i would also be making to the devices if if was part of the product group. 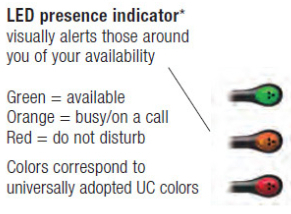 2, On the UC Proset LUX, move the presence status light (which i think is a great idea btw) from the front of the boom arm to the back/side of the boom as in real life people will talk adhoc to you from the back and side. From the front a person would see you are one a call if your lips are moving. I really look forward to v2 of these devices and in time i can see that they could be a really strong product in the UC market place. Polycom CX5000 Panoramic view issue / Corruption. Another quick but important post which relates to an issue I’ve personally seen of late. The issue is when using one of the Polycom CX5000 round table devices and a projector at the same time (And I’ve heard some people have been affected with just using a CX5000 only) the panoramic view becomes distorted and un-viewable with sweeping elongated screen views across the panoramic view. More details on the issue and also the download of the patch can be found here. In the last couple of days Microsoft brought out an update to Aastra, HP and Polycom LPE range of devices. As far as i can see there isn’t anything of much interest in these updates and id even go as far to say for the majority of users these hot fixes aren’t mainly irrelevant. EG: for the Aastra phones the patch is updating the timezone for Morocco.